We all need them – beauty tools. Today I’m sharing my beauty tools gift guide on the products I recommend and use. These beauty tools are perfect for gifting or for yourself. These should all be on your Amazon Wish list! I love my SimpleHuman 8″ Sensor Mirror. It was a gift from Ray a few years ago. It has 5x magnification and perfect LED lighting. I use it in a few different ways – I love it for travel because I can do my whole face in it and it will give me perfect lighting even in the worst hotel room light. I love it for when I’m looking at my lips or eyes up close, such as when I’m doing lip art or complicated eye makeup. This mirror will show you flaws that you don’t normally see and that no one else can see, which is why I don’t use it daily. I have the older version of this mirror. I use it daily when I don’t want to use the 5x magnification mirror. I used to use the Genesis Foldaway Mirror, which also has LED lights, but lost it on one of my trips. It’s lightweight and perfect to pop into your carryon. I’ve had the Bed Head Deep Waver for over 3 years. I tried one of the adjustable deep wavers but it had an electrical malfunction and I had to get rid of it. I’m glad that I kept this around. I love using it to add body to my stick straight hair! I love my bubble wand clipless curling iron. I use it for quick and easy loose waves (see how in my tutorial)! This set is cheaper than my single curling iron, so it’s a better deal! It’s also more highly rated. I absolutely love my Paul Mitchell Lumina Flat Iron (no longer available). This one is highly rated on Amazon! When my blow dryer died earlier this year, I started researching blow dryers and decided that the Bio Ionic GoldPro was perfect for me. It has sped up my dry time quite a bit. It’s easy to adjust the heat setting and speed. It’s lightweight and comfortable to use. I love it! This is the new blow dryer you need! For those of you who don’t have sensitive skin like me, you will love the Microderm Glow At Home Microdermabrasion Kit. It’s good at deeply exfoliating, helping to even skintone and improve skin radiance. For those of you who want super clean pores, this Dollve Blackhead Remover Comedone Extractor is for you. It’s one of the top-rated devices on Amazon. The KRASR Ionic Warm Mist Facial Steamer is perfect for the at-home spa day feel. Use it to open up your pores, then follow up with your favorite facial mask. If you’ve got rough spots on your feet, you will love the Emjoi Pedi Callous Remover. The Conair True Glow Paraffin Bath is perfect for dry hands, heels, and elbows. It deeply exfoliates and hydrates with aloe-infused paraffin wax. It’s also great for an at-home mani-pedi. A glass nail file is my secret weapon for nails. It lets you file your nails smooth with no jagged edges. It’s beautiful and so useful! Everyone needs one! It’s a perfect stocking stuffer. 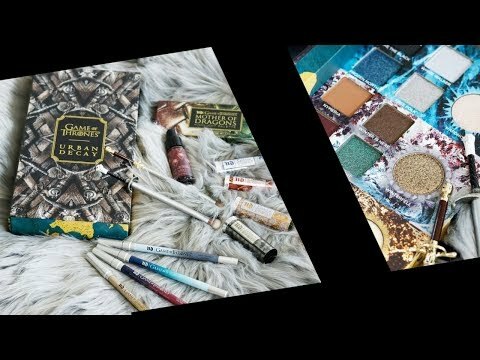 You will love any of these picks on my ultimate beauty tools gift guide. They’re perfect to give to a loved one or friend. Or, treat yo’ self to an item from the list! I actually have several of these and love them! I think I’m going to be adding the Conair Paraffin Bath to my wishlist! You have so many awesome items! I want it all! I see so many items that I want for myself! I need to put a new curling iron on my list this year! 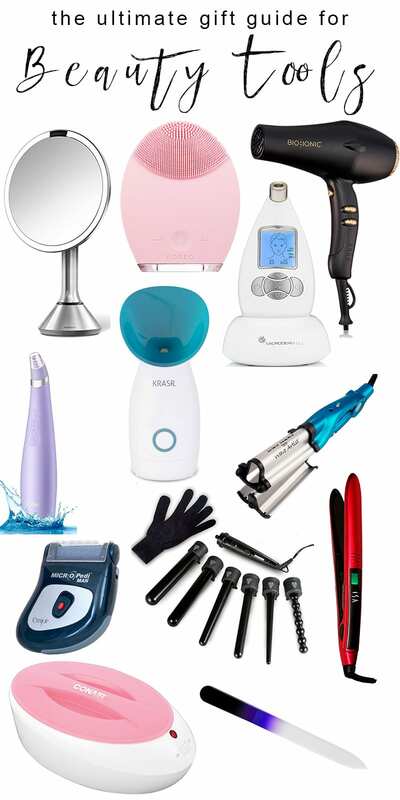 This is less “gift guide” and more “Cris’s hairdryer and flat iron died and she needs new ones”. Hah you definitely need to treat yo’ self! That Bubble Wave curling iron looks great! So many options. Right? It’s way better than the one I own. I want a Wave Artist! Like what?! That looks so awesome! You’ll love it! I love how it makes my hair look. That deep waver looks awesome. I have really thin straight hair too! It will give you nice volume! Do not let my teen get her hands on this list! I’ll be in trouble! Hehe, I’ll conspire with you to keep it from her.